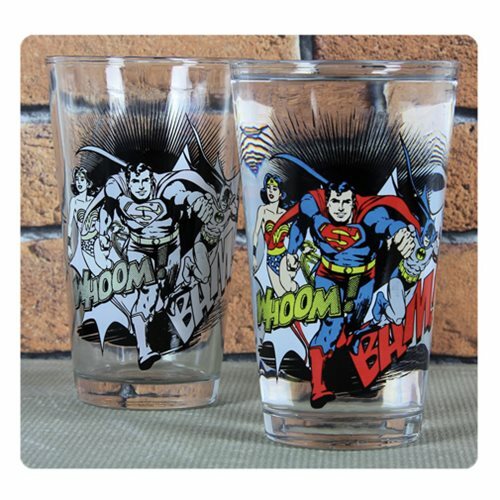 Add any cold liquid to this remarkable DC Comics Cold-Activated Color-Change Pint Glass and watch as the image of comic book heroes Wonder Woman, Superman, and Batman magically changes from black and white to full color! Do not microwave. Hand wash only. Not dishwasher safe.